An app, website, and 24/7 crisis telephone hotline for youth and adults to submit anonymous tips. Training on how to recognize the signs and signals of at-risk behaviors- especially within social media. 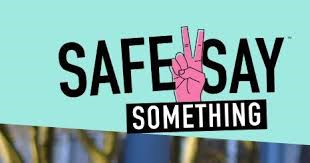 Training for all students, staff, and parents in each school districts on the on the Safe2Say Something Anonymous Reporting System. Routing of all tips to school officials and /or law enforcement, based on severity of the threat. The Safe2Say Something system is operated by the Office of Attorney General with the expertise and guidance of Sandy Hook Promise, a national leader in school safety. Sandy Hook Promise programs are in 50 states- with 10,000 schools, and over 5.5 million students and adults, having been trained. The organization has a strong record, reputation, and knowledge of how to work effectively with kids, parents, educators to improve school safety and culture. For more information, visit SaySomething. Do later school start times help students improve their test scores? Some school districts across Pennsylvania believes that it does. In fact, the state Senate adopted a resolution (SR 417 of 2018), directing the Joint State Government Commission to establish an advisory committee to conduct a study on secondary school start times in the Commonwealth. SR 417 is based on ideas from the American Academy of Pediatrics, which recognizes insufficient sleep in adolescents as important public health issue that significantly affects the health and safety, and academic success, of middle school and high school students. A recent poll conducted by the National Sleep Foundation found that 60% of children under 18 years of age are tired during the day and 15% said they fell asleep at school during the school year. A national group called Start Schools Later is pushing for state legislatures and school districts to adopt a later start time for middle and high schools. Pennsylvania has a statewide Start Schools Later chapter along nine local chapters and one student chapter. Additionally, about dozen school districts throughout the state have implemented a later school start time. Can you spot a child with anxiety? Anxiety is a normal reaction to stress, but it can be a problem for some children when feelings of excessive fear or anxiety are out of proportion to the situation or inappropriate to their age. 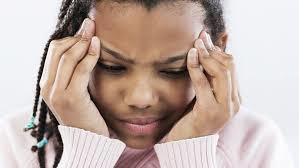 Anxiety disorders are the most common among mental disorders, affecting one in every eight children. Partners for Public Education worked with school nurses and counselors in Pennsylvania to develop a resource to help you identify common signs of anxiety in children and take steps to help. Madeleine Dean has a long track record of supporting public education. Prior to running for Congress, Madeleine was a State Representative and worked alongside Governor Tom Wolf to restore over $1 billion in public education funding. In Washington, DC, Madeleine will be focused on ensuring students and educators are well supported with adequate funding, beginning with universal pre-k and robust support for Kindergarten through 12th grade, special education, college and technical training. After witnessing the September 11th attacks from the window of his law office in Newark, NJ, Steve Santarsiero decided to change course and serve his community in a different way. He returned to school to become an educator and taught social studies at Bensalem High School. In the State Senate, Steve will make public education a priority and seek to increase education funding, expand access to early childhood education, and invest in career and technical education programs. Lindsey Williams has spent a lifetime advocating for working families across Pennsylvania. Prior to running for the state Senate she was the Political Director of the Pittsburgh Federation of Teachers where she learned firsthand how our public schools work and the challenges education professionals face every day. She plans to bring that knowledge to Harrisburg and will serve on the Senate Education Committee, as well as the Senate Labor and Industry Committee, where she will help shape the policies that guide our schools and their workers. Barbara Gleim served for eight years on the Cumberland Valley School Board, including two years as its President, eight years as the Policy Committee Chair and eight years on the Curriculum Committee. She also served on the Cumberland-Perry Vocational Technical School Board and has extensive knowledge of the value of career and technical education in Pennsylvania to prepare our children and improve our economy. In Harrisburg, she will serve on the House Education Committee and work to develop education policies. For the past 16 years, Bob Merski worked in the Erie City School District. A Pennsylvania State Education Association member and former President of the Erie Education Association, Bob has unrivaled knowledge of the needs of school employees and will be an advocate for them in Harrisburg. 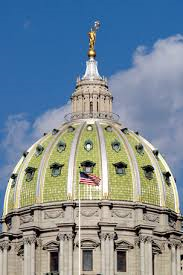 Bob’s focus in Harrisburg will be ensuring adequate public education funding from the state to ensure every child has access to a quality public education regardless of their zip code. Wendi Thomas is a former PTO leader, and President of the Council Rock School Board. As a school board member, she worked across party lines to improve public education. In Harrisburg, she’ll be committed to providing responsible school funding, reducing standardized testing, and allowing educators and children to focus on real learning. Through your Partner Benefits, get $50 off your first 2 boxes with Blue Apron. This offer is available to new customers only and not valid with other offers or promotions.